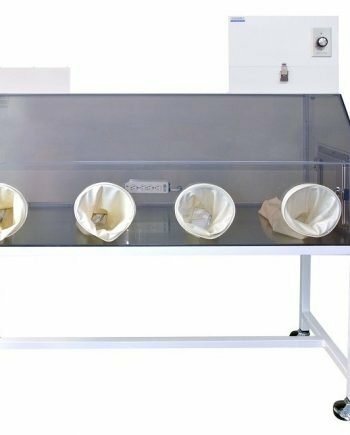 Cleatech 2300 Series Containment Glove Boxes are configured as an open loop airflow system safely and effectively control particulates in your laboratory. 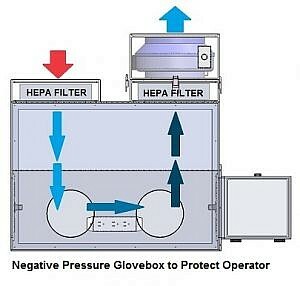 Particulate control requires a glove box with HEPA or ULPA filters that used to capture particulates. 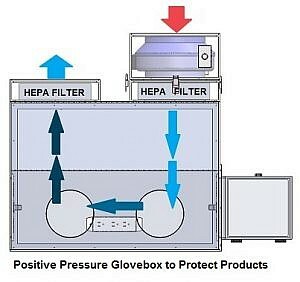 Protect operator: Th ese glove boxes are negatively pressured to contain particulates inside the chamber. 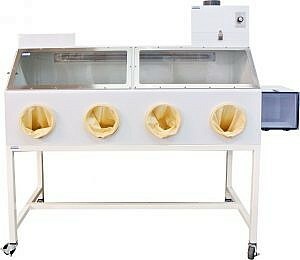 PA filter and then into the chamber set up for negative pressure operations. 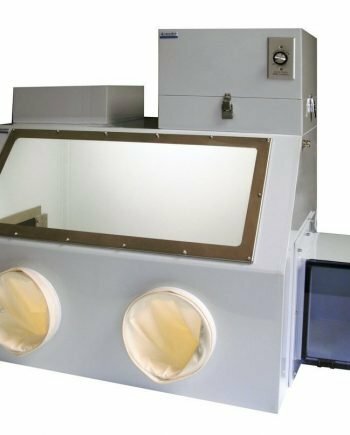 Particulates such as fine pharmaceutical powders, aerosols, microbial contaminants can be captured by filters. 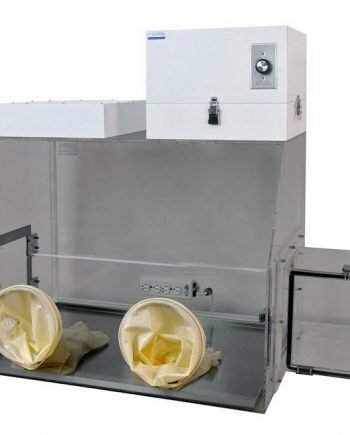 HEPA/ ULPA Filter removes contaminants from the exhaust gas and draws exhaust particles through a filter to make it safe for indoor release. 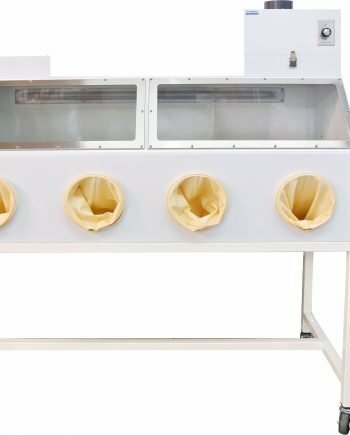 Protect sample: Alternatively 2300 open loop glove boxes can be factory configured to positive pressure to protect samples against airborne particles. 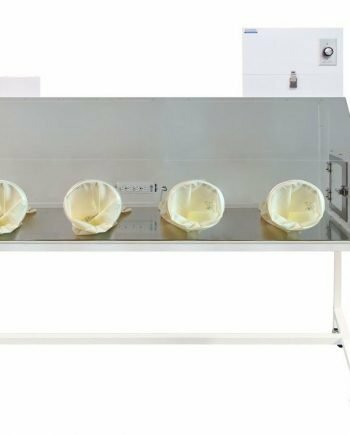 As particulates can contaminate very clean or sterile samples, filtered glove boxes can be designed to isolate sterile objects or samples inside from outside particulates. 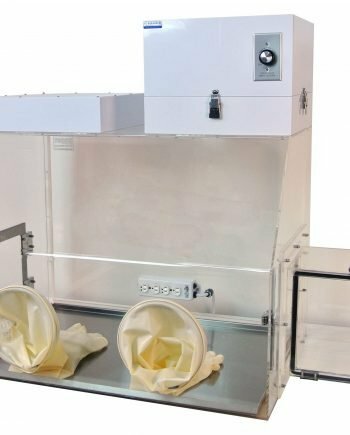 Filtered glove boxes cannot maintain a pure gas atmosphere since they move freely through any particulate filter. Therefore they are not good choice to control humidity and oxygen level. 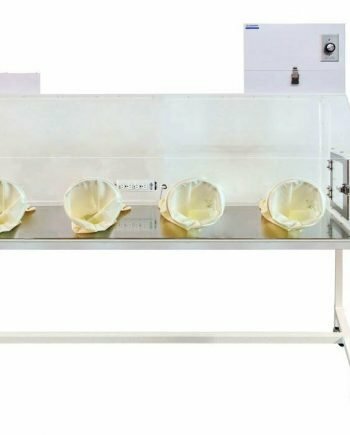 Use Cleatech isolation glove boxes for such applications.